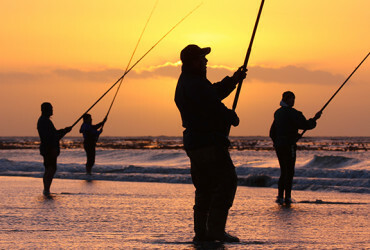 Make your family fishing outing a memorable one. 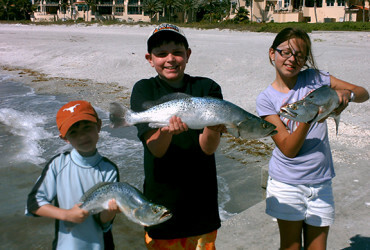 Emphasis on the Florida fishing experience for the whole family. 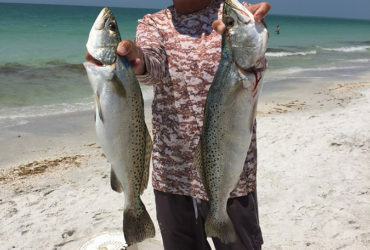 One-on-one, in-depth instruction series for the individual who wants to learn all about beach fishing for food, sport and relaxation. 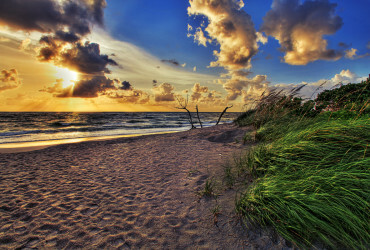 Including sunset tours, fishing plus wildlife eco-tours, birthdays and celebrations and more. Considered at your request. 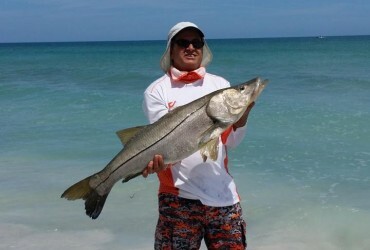 Snook are biting at Beach Fishing Adventures. 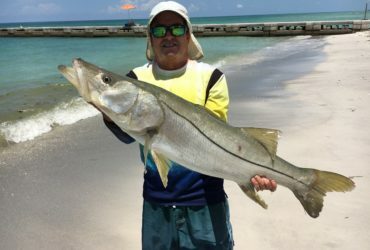 The Snook are biting at Beach Fishing Adventures. Book your trip today! 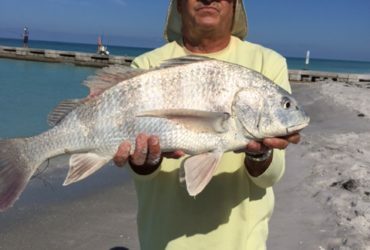 Black drum biting from the beach! Fabulous day of fishing with Coach Steve! spend it with Coach Steve! Looking forward to our April trip already! OMG, what an unbelievable start to the NEW YEAR !!!! Going on my third year of fishing with Steve, I can honestly say he is the best. This is now and will always be a must do adventure every time my family and I visit. I had a wonderful time! It started off catching 2 sheepshead and ended with 2 sheepshead , 3 whiting and one huge 32″ snook! 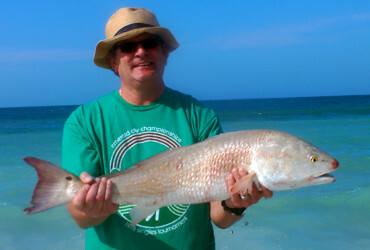 I would recommend Coach Steve to anyone who loves to fish and catch big fish! I had the time of my life! I will never forget this! Thank you for an amazing adventure! Thank you for an amazing adventure! We had a great time and I appreciate all of your patience teaching me how to cast the line! 🙂 In total, we caught 11 fish and learned lots of strategy. We can’t wait to eat our fish and do this again next time we our here. Love your enthusiasm for the sport! Today it was slow, but you netted some live bait and I caught four Seatrout and one sheepshead. It was an amazing day and I can’t wait to eat the Seatrout. Too bad we could only do two hours! From start to finish Coach Steve took every moment to teach us about the fish, strategies, and even taught us how to catch sand fleas. He is super enthusiastic, personable, and helpful. 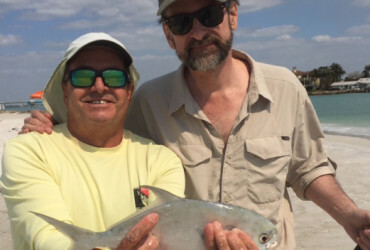 We caught pompano, snook, trout, jack crevalle, ladyfish and catfish. He showed us how to humanely kill the fish and gave us a lesson on how to fillet. Super helpful for a zombie apocalypse! We have been fishing dozens of times, and this was certainly the best experience we’ve ever had. Thank you Coach Steve! Can’t wait to grill and eat our super fresh fish! Thanks Steve! 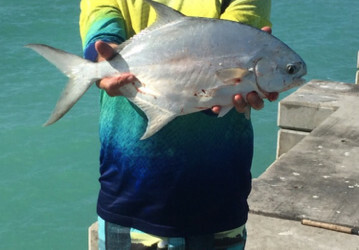 Great time fishing – good catching too! Will cook up the catch! P.S. Thank you for teaching me and sharing your knowledge with me!! Coach Steve is the best! Coach Steve is the best! We learned so much. Our 4 and 6 year old boys loved every minute. 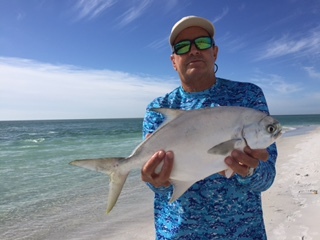 Copyright © 2014 Beach Fishing Adventures. Brought to you by Rough & Ready Media.